Hosting a fun event doesn’t have to mean stress for you. When booking an event with Tag Em Entertainment you sit back and enjoy your time as much as your guests. Our team members set up, maintain game play and keep things interesting! 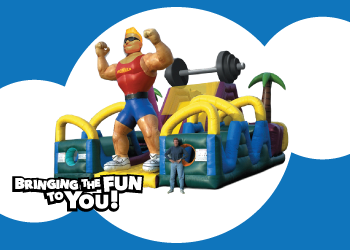 We offer many different services that wont disappoint.We offer some amazing inflatables such as Human Foosball, Mobile Zipline, 22ft Dual slide and Many More! Safe and exciting for all ages, we guarantee people will be exclaiming about your event for weeks to come. 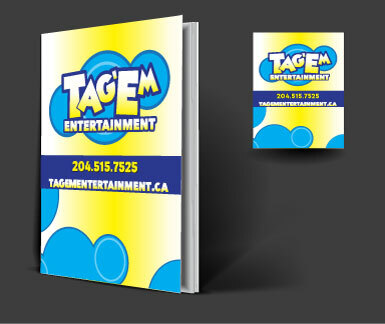 Tag Em Entertainment specializes in birthday parties, fairs or festivals and corporate team building sessions. 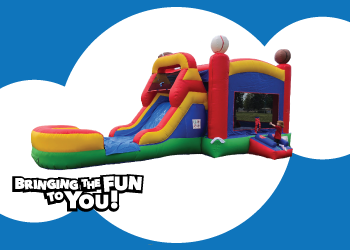 Our unique mobile system can transform your backyard, office or playground into a fun-filled adventure! 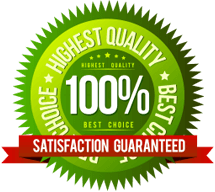 Our mission is to provide clients with the highest level of service. We pledge to establish lasting relationships by exceeding expectations and gaining trust through exceptional performance. Our clients count on our dependability, our drive, and our integrity We take great pride in our companies accomplishments and continue to build on them every day. Sign Up For a Catalog! 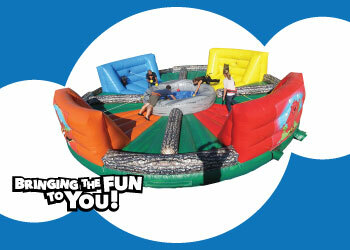 Tag Em Entertainment has some of the newest and coolest interactive inflatables available in Manitoba and Saskatchewan! From our human foosball or our hungry hippo inflatable. Our interactives will get everyone playing at your event whether you’re trying to do some team building or just having some good old fun! Tag Em Entertainment has a great selection of wet and dry slides. From our 22ft dual lane slide to our amazing Big kahuna water slide. Our water slides are a great way to cool off during the summer. If your planning a fair or festival any of our dual lane slides are great for keeping the line moving! Available in Brandon or Winnipeg! Tag Em Entertainment has one of the only mobile rock walls within 10 hours! 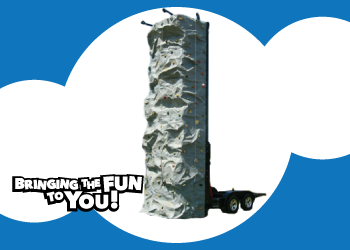 Our rock wall trailer can have three climbers climbing at once to make sure everyone is having fun! We can add Branded flags along the side to help you promote your brand. Call us today to book this rock wall for your next event in Manitoba, Saskatchewan or Alberta! Tag Em Entertainment has some amazing obstacle course rentals available in Winnipeg Manitoba! Can you take on the challenge of our iron man obstacle course? 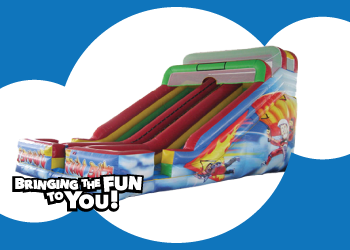 Crawl up and over the inflatable obstacles or slide down the huge slide! Obstacle courses are a great addition to any event. Perfect for kids or adults! Tag Em Entertainment has a large selection of arcade games available for rent across Manitoba, Saskatchewan, and Alberta. 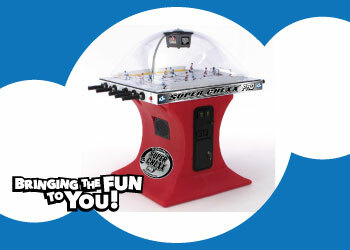 Back to the basics with games like Super Chexx Bubble hockey or Ms pacman we can help you turn your workspace into an arcade! Adding arcade games to your event is always a great choice! Call now to book! Awesome experience! Highly recommend! Our 12yr old boy and his friends had so much fun for his laser tag party. Our 10yr old girl & my husband played as well and now they both want their own party Ty was great and the kids loved when he joined in on the fun! We will definitely be booking another party soon! Thank you very much for a great job. Our party was a success.